This is one sheet with the top 3 rows of the PT. 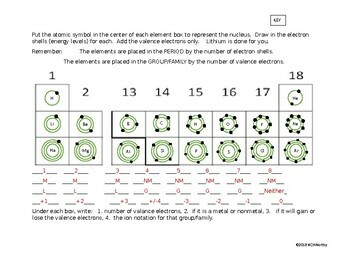 The students draw the energy levels, add the valence electrons and element symbol. 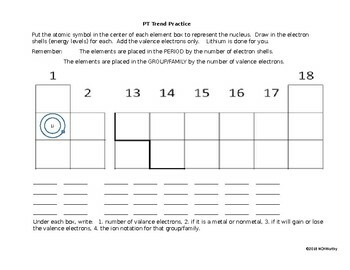 Underneath, they list the number of valence electrons for each group, note whether it is metal or nonmetal, whether they gain or lose electrons, and the ion notation. This can be used for review or remediation. I used it in my co-taught classes.